Ah yes, Batman has always been a popular adventure character, and someone whom the average reader could identify with – to a point anyway. Theoretically, if we all put away the fatty foods and devoted ourselves to physical fitness and study as the young Bruce Wayne did, we all could become “superhuman”, if you will. But what if it weren’t that simple? What if Bruce Wayne actually had an underlying genetic predisposition to superiority, that is, what if he were a member of Homo superior (ala the X-Men)? Being a lazy slob myself, that makes my choice of existence that much more justifiable. There’s no way I could be Batman after all, even if I did all the right, healthy things needed, because Batman is a mutant! 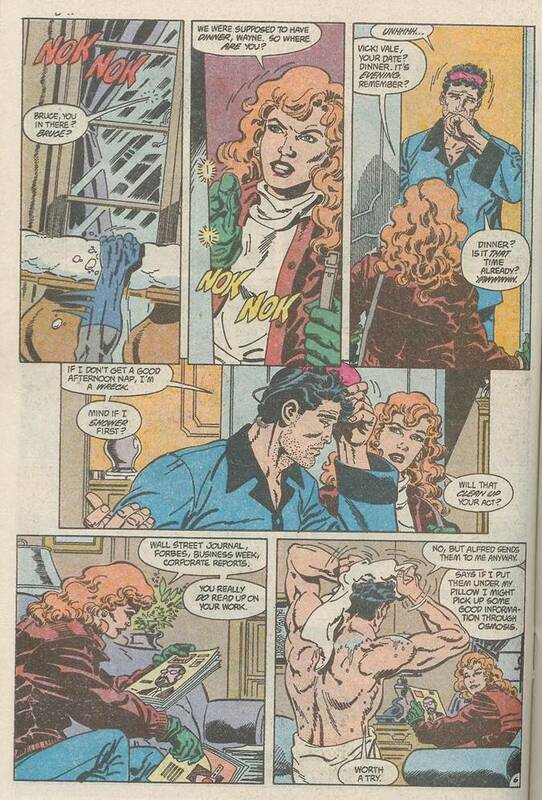 Yes, Vicki Vale, the Lois Lane counterpart in Batman’s world, drops in on Bruce Wayne. Bruce, that ever thinking juggernaut, immediately realizes that a view of his chest would give away his identity so he, uhm, goes to shower… and returns to where Vicki is… shows his bare chest to Vicki Vale, who smiles. Huh? Now that doesn’t make a lick of sense! Of course she smiles, not because she got a free look at the goods, but because she’s just discovered a huge, nasty gash that confirms her long standing suspicion that Bruce and Batman are one in the same! My lord, this is groundbreaking stuff! Now, this issue has a few things that strike the eye (and eye injuries are NOT pleasant kids). 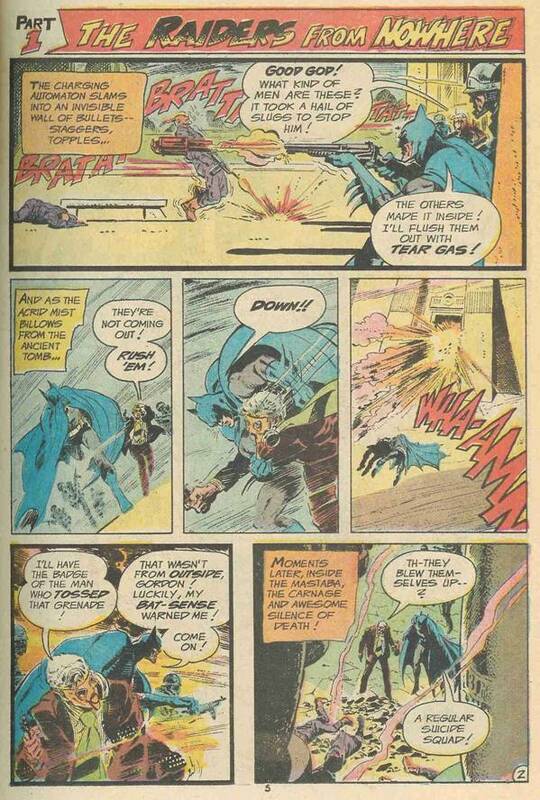 Firstly, Batman used a gun in the first story panel, something you just don’t see everyday. Guess Robin finally got around to teaching Bats how to handle a firearm (Robin’s an old hand at gunplay). Secondly, hard as it is to believe, the same artist did both of these stories! 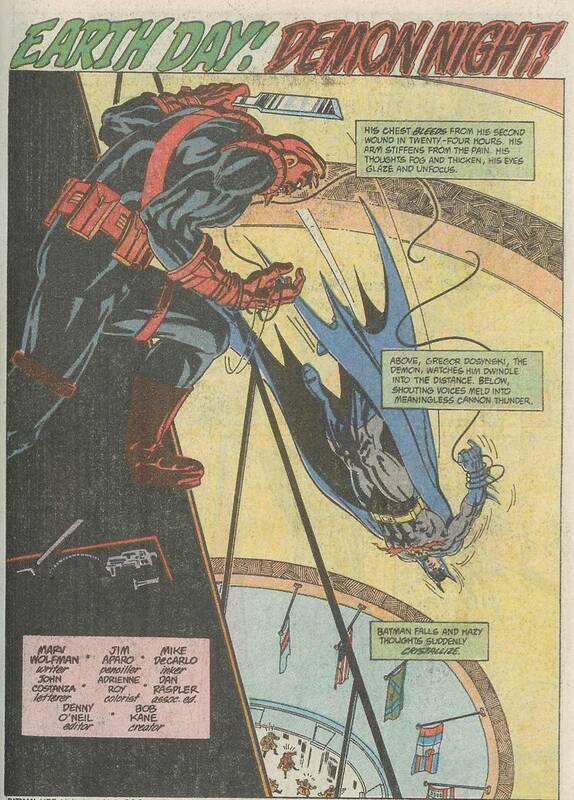 Man, Jim Aparo’s style sure changed as he got older. And finally – BAT-SENSE? BAT-FREAKIN’-SENSE!? !